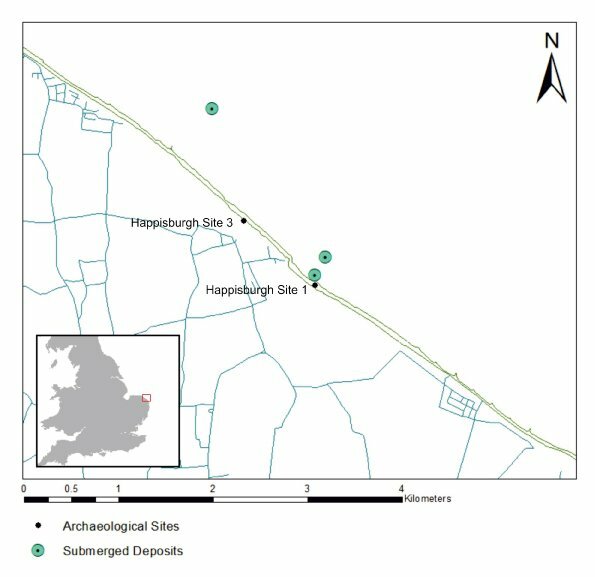 Rachel Bynoe of the University of Southampton was awarded a Leakey Foundation Research Grant during our spring 2018 cycle for her project entitled “Exploring a submerged Pleistocene site off Happisburgh, UK.” She is a paleolithic archaeologist researching the submerged archaeology of the southern North Sea. This is an update on her recent field research. 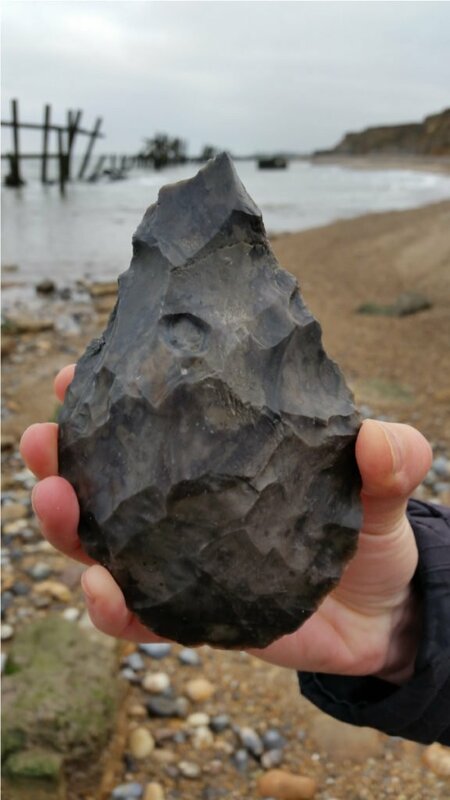 Recent archaeological discoveries at Happisburgh (Figure 1), on the east coast of Britain, have radically changed our understanding of the timing and nature of early hominin occupation in these northerly environments, pushing this back to nearly one million years in significantly cooler temperatures. At this point, Britain was permanently joined to Europe by large swathes of landscape, now submerged beneath the North Sea. This project aims to search for these submerged landscapes, evidence for the existence of which comes from large collections of archaeology washing up on the beaches. For many years locals have been collecting the remains of long-extinct Pleistocene animal bones along this coastline. These include early mammoths, various species of giant deer, rhinos and even bears, and derive from a geological formation that outcrops along the coast called the Cromer Forest-bed Formation. This Formation dates to over half a million years ago at its youngest, all the way back to over 1.5 million years, containing sites deposits that demonstrate changing environments through this time. More recently, discoveries of stone tools (Figure 2) have added to this faunal record, and their spatial distribution has been used to pinpoint areas of seabed that they are likely to be eroding from. If we can locate their parent deposits, we will not only be developing the ways in which we are able to understand and investigate submerged Pleistocene landscapes but will also be working with the oldest submerged site so-far known. The Leakey Foundation funded two separate weeks of diving fieldwork over the summer of 2018, where we were aiming to groundtruth areas of seabed to locate the source of the archaeology. Previous fieldwork over the summer of 2015 had resulted in the finding of an Early Pleistocene rhino radius, but otherwise little other than large sand waves were found; the seabed in this area is incredibly mobile, and these act to obscure the deposits they overlie. We set-out this year with high hopes for more, with the potential for weeks of looking at sand wave after sand wave in the backs of our minds. 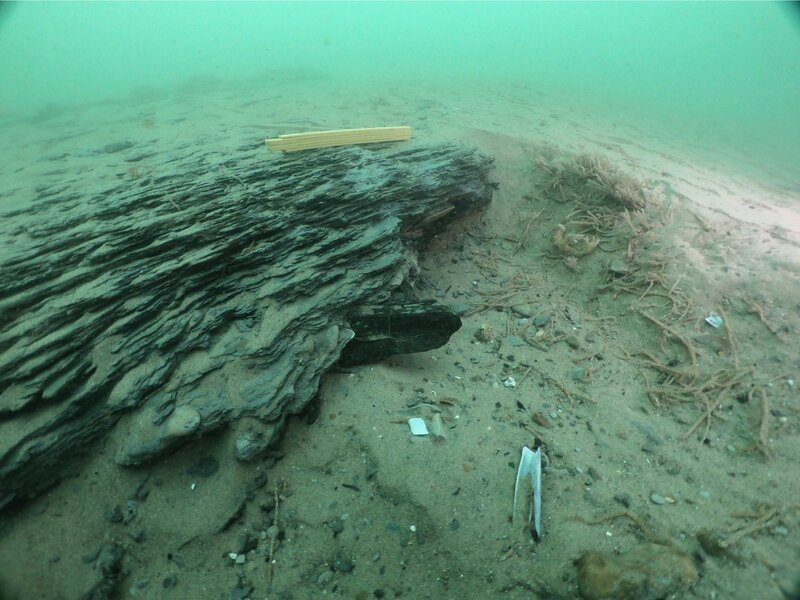 What we found was an unprecedented array of submerged, in situ Pleistocene deposits, providing new insights into these landscapes and far more questions to answer. Day one was an exciting indication of what was to come, when we dropped-down on a large exposure of laminated Cromer Forest-bed deposits (Figure 3). Having never been able to locate these offshore before, this was a breakthrough. The amazing weather—very unusual for a British summer—allowed us the full two weeks of work, and we spent this time both searching for finds, as well as trying to maximize the information we could come away with from the deposits themselves. Three areas of exposures were found, surveyed and sampled (Figure 1). At the main area, one of our team—Daniel Pascoe—carried out a photogrammetry survey, creating a 3D model of the exposure to millimetric accuracy. For sampling, we initially used short cores, which were then split lengthways, photographed and analyzed for pollen (Figure 4), before upgrading to larger cores during the second week to increase sample sizes. Whilst we initially tried using the usual archaeological monolith tins, we ended up having far more success with drain pipes, sourced from a very helpful local. The results from the initial, mini-cores show that we have a varied range of deposits, which relate in different ways to those known onshore. The significance of these is not only that we are able to extend the known extents of this archaeologically significant Formation, but that we can begin, through further analysis, to use these insights to further target them for areas of high archaeological potential. 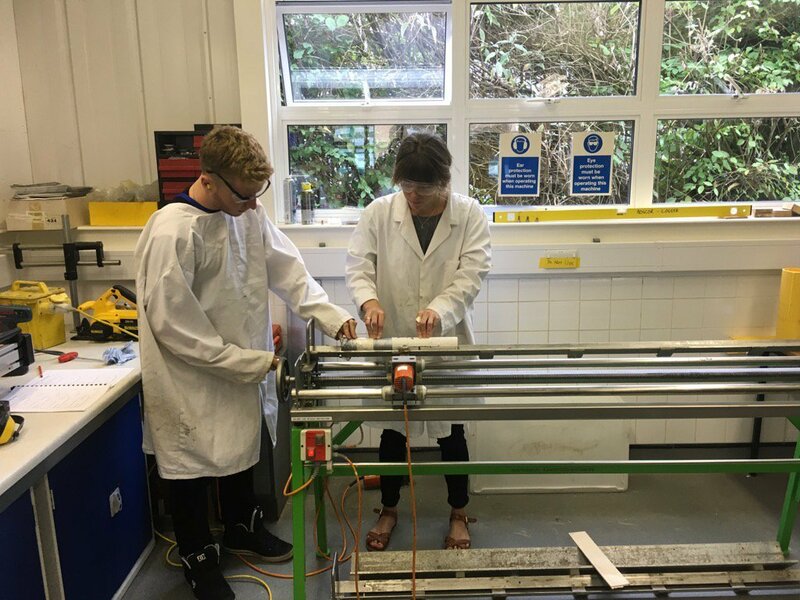 This work is currently ongoing, with the core splitting taking place in the British Ocean Sediment Core Research Facility, at the National Oceanography Centre, Southampton (Figure 5). In addition to these samples, we also collected geophysical side-scan sonar data of the seabed, so that we can begin to calibrate the images that we see through this remote sensing with what is actually on the seabed (Figure 6). 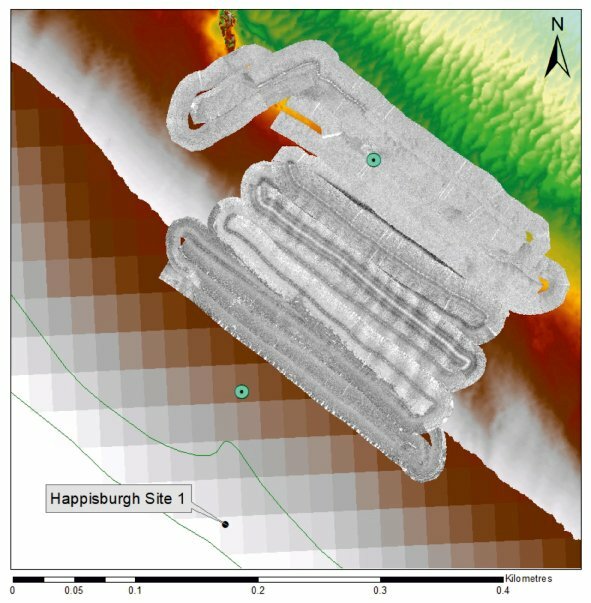 We are now in a position to understand what certain seabed substrates look like on the side scan and how these relate to underlying deposits, allowing us to better target certain areas in the future. More geophysical data will be collected in the coming months, but this time we will be using seismics to see below the sand waves. 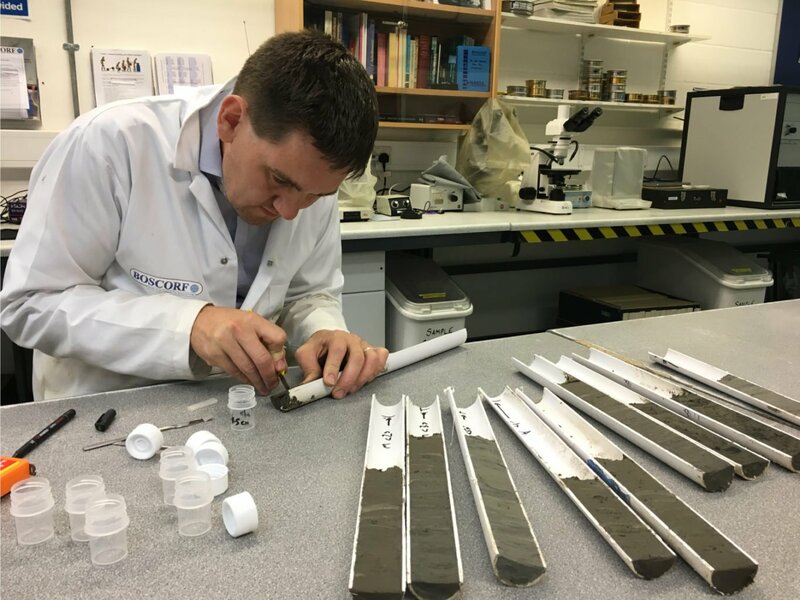 This has the potential to be a real game changer, with not only the ability to see where deposits are extant below the sands, but how far below the sands these lie and, with the sediment cores collected, the actual nature of these deposits. In terms of archaeological finds, the search is still ongoing. A single stone tool was found, as well as a few small pieces of mineralized animal bone, all of which were out of context on this occasion. However, what was really important about these two weeks was the demonstration of how much information can be gleaned with increased time underwater. The archaeology is clearly there, but locating it is like a needle in a haystack. With the huge increase in knowledge that the location and investigation of these deposits gives us, however, this is now far more refined. Sofya Dolotovskaya spent 14 months studying elusive titi monkeys in the Peruvian Amazon. 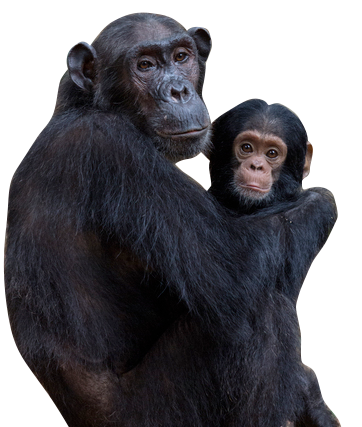 Her Leakey Foundation funded research investigates aspects of pair-living in socially monogamous titi monkeys to see if social monogamy translates into genetic monogamy. Leakey Foundation grantee Deming Yang has recently returned from his data collection trips to the Turkana Basin in northern Kenya and Salt Lake City, Utah. 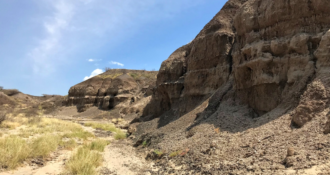 One of the questions his dissertation research project hopes to address is how the paleoenvironments in the Turkana Basin varied across space and time. It is rare to have the opportunity to visit the sites that define our human history around the world. 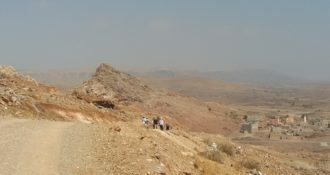 Recently, Rosa Moll, a Leakey Foundation Baldwin Fellow from South Africa visited the site of Jebel Irhoud in Morocco, famous for the oldest modern Homo sapiens fossils in the world.